Oh, storm water treatment performance lab testing, your time-consuming, methodical steps make me want to pull my hair out. You often leave me with more questions than answers. However, the benefits often counterbalance the challenges. Thank you for answering my questions, even if I must endure the tedious steps of the scientific method—a method that researchers need to follow to answer questions related to cause and effect. The scientific method proves results are caused by isolating variables and testing in different conditions, to validate or invalidate a hypothesis. The scientific method is often an ongoing process, with one of the biggest challenges being time. We often go back to more testing as we gather information and knowledge from the data we collect. This cyclical process continues until we have properly vetted the hypothesis, which usually turns into multiple hypotheses. It is not just the lab work that takes time, but the planning that goes into experimental design. Planning involves budgeting, project scheduling, equipment procurement and quality assurance (QA), confirming facility requirements, and determining how data will be verified and reported. It takes time to properly validate data through various QA/quality control checks such as running duplicate samples, equipment blanks, sample blanks or calibration curves. Equipment calibration, malfunctions and maintenance lead to downtime and sometimes the dreaded “do-over.” Probes, filters, tubing, gaskets and valves must be replaced, pumps primed and oiled, etc. We must consider where and how we store data for report generation and document everything so someone else can follow it to produce similar results. Developing standards of practice and report writing takes time, but is necessary to provide knowledge to those involved in decision making. Let’s not forget lab safety. U.S. Occupational Safety and Health Administration compliance, such as safety audits and training, is extremely important in a lab environment to ensure safe and healthy work conditions. Time must be allotted for updating chemical hygiene plans, inventories, safety data sheets, and providing personal protection equipment. The value proposition of lab-based storm water treatment performance testing is through the simulation of numerous storm events versus waiting for qualified events in the field, not to mention control over pollutant parameters and flow rates. As a rule of thumb, bench trials are conducted prior to field testing. Lab testing allows for apples-to-apples comparison, even though storm water may be a banana. Lab testing can be used as an evaluation tool to vet different storm water control measures (SCMs) or to support product development under the same relative test conditions. However, these conditions won’t represent the field exactly. For example, silica sediment feed demonstrates silica performance but generally does not represent field performance due to the lack of organic material, among other things, not reflected in a controlled environment. Highly variable field conditions are not accounted for in lab testing. Hence, in the field, the absence of controlled test conditions make it difficult to compare SCMs. Also, if your test objectives include evaluation of long-term performance, maintenance frequency, and/or sizing, then the lab testing value is more diminished as it is less reflective of field conditions. For example, while you can simulate a year’s worth of storms in the lab in a short window of time, that doesn’t allow time to evaluate degradation via biological activity. Organic-based sediment will occlude a SCM more quickly than silica-based sediment, so maintenance frequency is really a parameter best suited for field evaluation. Additionally, there are some parameters that are difficult to test in the lab, such as PCBs, herbicides, and pesticides that make field testing a more suitable option. Lab testing allows for a controlled environment. 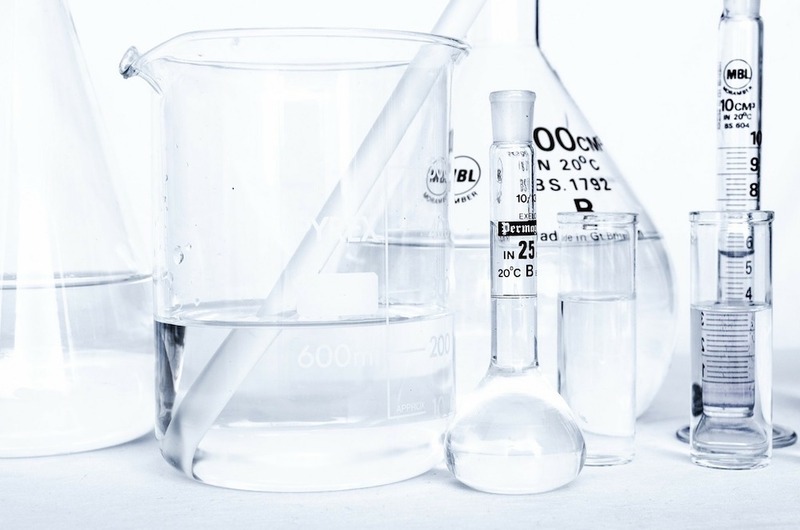 You can more easily integrate principles of the scientific method because the variables, such as pollutant concentrations and flow rates, are much easier to control to provide consistent data. If you want to test specific influent ranges to meet protocol criteria, you can do that in the lab, while it can take years to collect the appropriate number of qualified storm events in the field. Unsuitable sites, for example, can produce runoff characteristics not meeting the targeted influent concentration, sediment particle size distribution, or minimum storm depth. To counter that, the chemical complexity of field storm water runoff is difficult to mirror in the lab but can largely affect performance. Real storm water can be used in lab-based testing, but you begin to move away from controlled variables, data consistency and ultimately similar test conditions if the test objective is for lab-based testing to serve as a vetting tool among different SCMs. Lab testing allows you to run simulations and worst-case scenarios to model data, such as through the use of computational fluid dynamics to reduce cost and time associated with prototyping and testing. Additionally, it’s less expensive to run pilot scale tests and internal analysis in the lab than to run a full-scale field test and send analytes to outside labs for analysis. Third party oversight of lab testing can be utilized to improve credibility through the New Jersey Corporation for Advanced Technology verification process. Lab testing is a stepping stone to serve as justification for field testing. Lab testing takes time and results may not represent field performance, but it provides a process for giving it our best effort. For that, lab testing, I am grateful, and will continue your painful, enduring process.